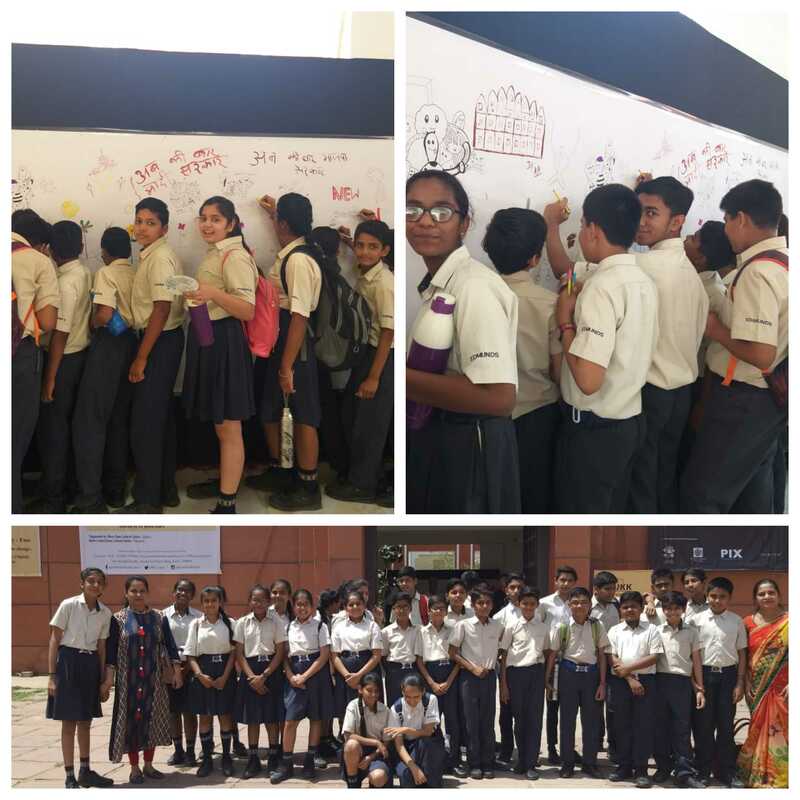 Students of St. Edmunds school, Jawahar Nagar Jaipur participated in Nirant organised by Jawahar Kala Kendra Jaipur ( an international art and cultural Centre which nurtures art, artists, host music recitals, seminars and renowned exhibitions throughout the year ) to celebrate its foundation day. Edmundites exhibited their innovative ideas through their artwork on the doodle wall in which they were engaged vigorously. It gives an opportunity for students to try their hands on the doodle wall. The students greatly enjoyed participated in the activity, which gave them an opportunity to widen their imagination and to develop and strengthen their creative skills. and they were also shown children movie “Chakkad Bakkad Bumbe Bo” which focused on gender inequality.